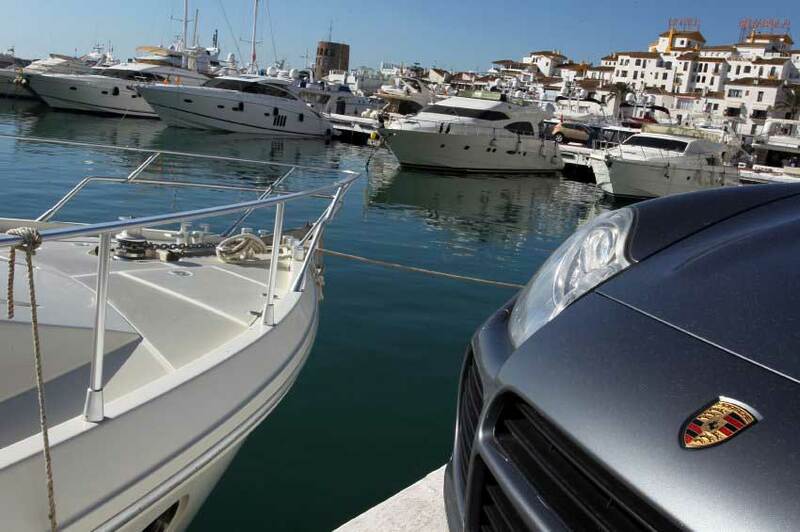 Viewpoint : Puerto Banus : Faded Grandeur? Or New Beginnings? Originally constructed in 1970 to serve the yachting needs of the super-wealthy visitors to Marbella, Puerto Banus became famous the world over and attracted the top Hollywood stars and Europe’s social elite. However today Puerto Banus is facing an uncertain future. 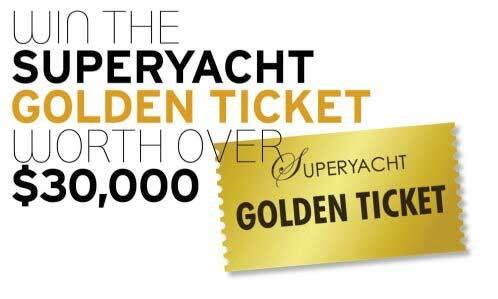 Now swamped by the Essex party crowd Puerto Banus no longer offers the exclusivity and style for which it was famed; add to this the growing size of yachts and the small physical size of the harbour and the market which once fed the 915 berths appears to be disappearing. What’s more, plans recently announced seem likely to deliver a new superyacht facility to the east of Marbella – a modern harbour with all the latest facilities and crucially large, deep water berths – a major threat to the continuing attraction of “The Port”. Perhaps the fortunes of Puerto Banus are best summed up by looking at perhaps it’s most famous long term resident “Shaf” owned by Prince Salman Bin Abdulaziz Al-Saud, currently the defence minister for Saudi Arabia. Originally one of the largest yachts in the world it now sits outside the top 100 yachts, and is rarely used by the family. 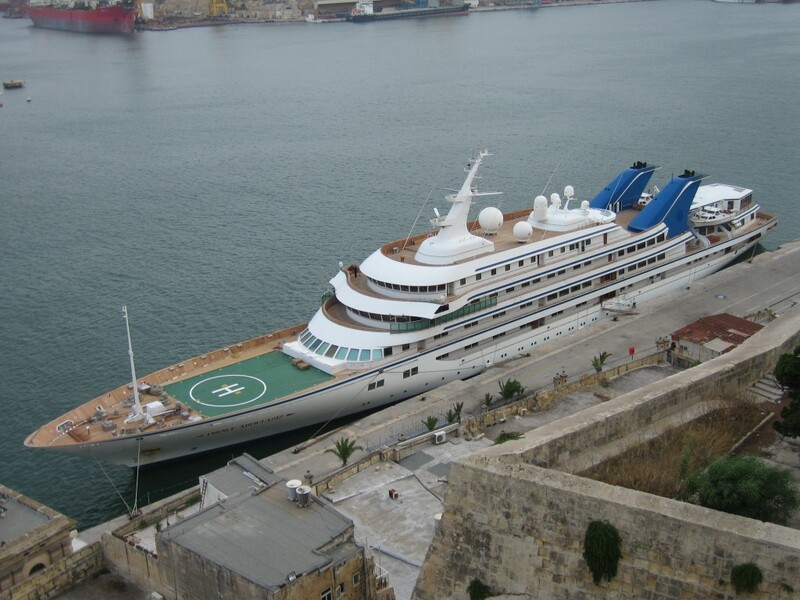 This may be because they now also have the £50 million Prince Abul Aziz, which at 147 metres is too long to fit into Puerto Banus and instead uses Malaga as a base. 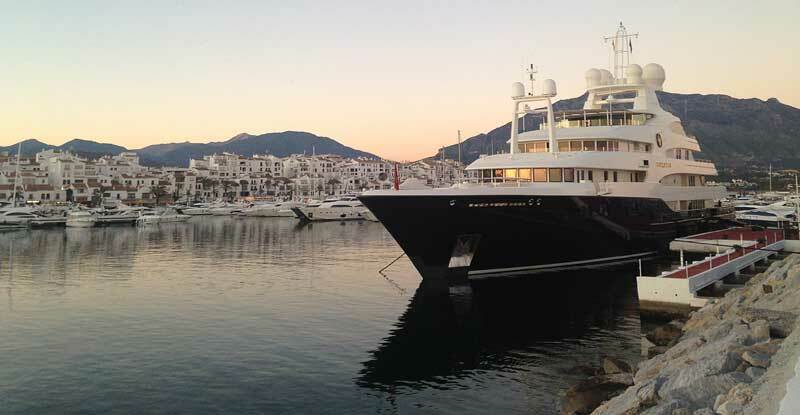 The largest berth in Banus can take vessels up to 90m but is rarely used. This year the fabulous superyacht Sarafasa was berthed there for a few days whilst Saudi leaders held a family conference. But the boat provisioned and refuelled in Gibraltar popping into Banus before heading up the to the Balearics. In essence Banus suffers from it’s very existence – designed in a time when travel was a luxury statement and the global elite few in number – it now has no heritage on which to trade and facilities that are out of date at best. Apparently the only way is Essex! The arrival of pizza at 2 euro a slice, prostitutes and drugs has undoubtedly dealt the destination a rough hand from which to recover – not helped by perhaps the most obstructive administration in Spain (a hotly contested title!) and continuing economic woes. Some initiatives such as the Marbella Luxury Weekend has sought to reclaim some of the faded glamour but these increasingly Kanute-like efforts to push back the tide of mass budget travel look destined to fail when confronted with the Primani Army from Essex. What’s your view on this? Please let us know below.